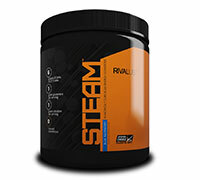 STEAM a highly-versatile amino acid supplement compromised of L-Leucine, L-Isoleucine, L-Valine, L-Glutamine, and two forms of L-Citrulline. 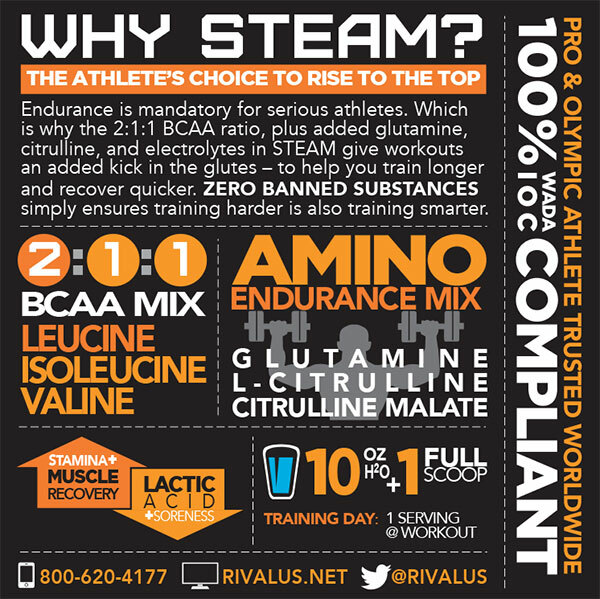 Use STEAM during workouts for hydration and training endurance, after workouts to initiate the recovery process, and between meals & before bed for added anti-catabolic support. 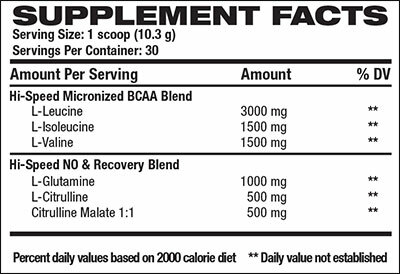 Mix 1 scoop with 8-10 oz of water during exercise and training. For best results, combine with resistance exercise 3-5 days per week. On-non-training days, take 1 scoop daily. Other Ingredients: Natural and Artificial Flavors, Citric Acid, Malic Acid, Sodium Chloride, Potassium Citrate, Sucralose, Acesulfame Potassium, Vitamin B6, FD&C Blue #1. Allergen Information: Manufactured on equipment that process products containing milk, soybeans (lecithin), peanut flavor, wheat, shellfish, tree nuts, fish oil and egg. KEEP OUT OF REACH OF CHILDREN.